As part of NYFW, Ebonee Davis stepped out last night(February 7th) for the amfAR gala at Cipriani Wall Street. She post her chic look to her instagram page. 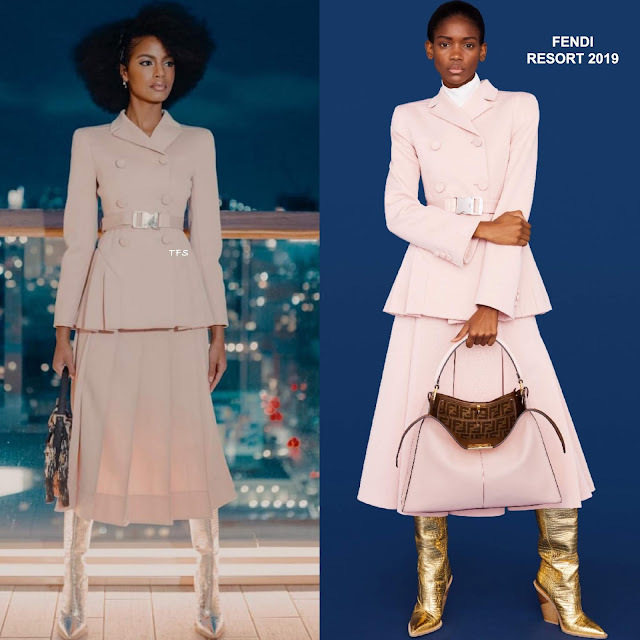 She posed for the gram, fashion slaying in head to toe FENDI, which featured a RESORT 2019 pink double breasted, pleated skirt suit & metallic boots and a printed bag. I am absolutely love this look. We don't see her on the carpet often but if you check her out on the gram, she always serves up style. She finished up with a flawless beauty look. Are you loving Ebonee's instagram style as well?